There are many varities of fried rice you can make like 'chinese style', 'indian style', 'fried rice with sauce' etc. This recipe is about indian style. This is a complete meal with vegetables. You can add chicken, egg, prwan, mushroom in this dish. You will love this dish. One green capsicum finely chopped. One yellow capsicum finely chopped. Some green beans finely chopped. Ground black pepper 2 Teaspoon. Take a vessel. Pour 7 cups of water. Let it boil. When the boiling starts add green cardemoms,cloves,star anis,cinnamon stick,4 Teaspoons salt and 3 Teaspoons sugar. After 2 minutes add the soaked rice. Keep it boiling. Check every 2 minutes. 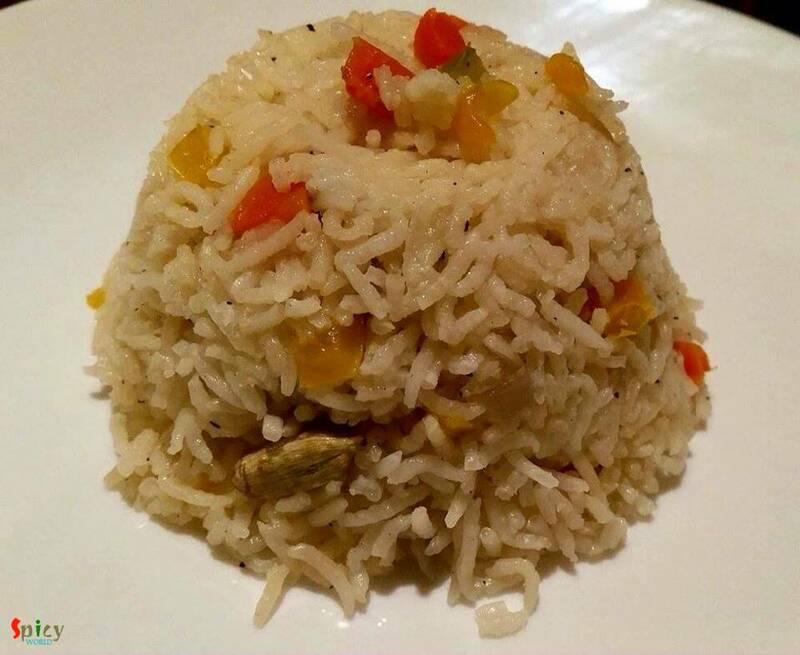 After 10-15 minutes the rice will be done. It should be 90% done. Drain the water. Keep it aside. Now take a wok. Heat clarified butter. Now add all the chopped vegetables , cashews and raisins. Stir it in high flame. Add 2 pinches of salt, black pepper and msg. Mix it very well. After 6 minutes of stirring add the boiled rice. Gently mix this with the vegetables. Check the taste. It should be lightly sweet. Enjoy this hot with any type of gravy.